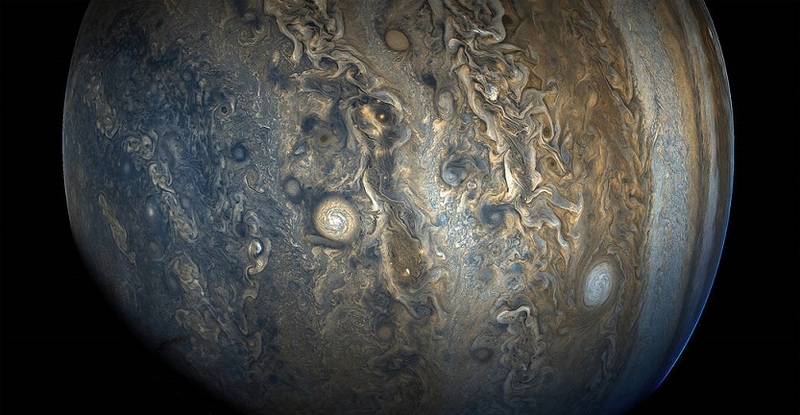 On October 24, 2017, NASA's Juno spacecraft captured this beautiful photo of Jupiter during its ninth close flyby of Jupiter. In this colour-enhanced photo, two white ovals can be seen. These ovals are in fact two of eight massive rotating storms at 40 degrees south latitude on the gas giant.